When it comes to search engine optimization for a new website, some businesses can be intimidated due to the amount of information out there. And often, if they don’t have the help of an experienced in-house SEO or consultant, they will do nothing. Today, we’re going to look at some easy things you can do to start your website’s SEO on the right foot – even if you can’t hire a professional to help you out. Before we get started, one thing you want to keep in mind when using any of the following SEO elements is not to overdo it. You might be tempted to shove a lot of keywords onto your pages, but that is not the goal. In fact, Google has unleashed an over-optimization penalty that targets websites that have too many keywords stuffed onto one page. So when it comes to keyword optimization, keep it simple – think of up to five keywords or keyword phrases for each page on your website and optimize for those. If you’re not sure what keywords to use, try entering some preliminary ideas on Google’s AdWords Keyword Tool to get suggestions. Or, if you really want to get into the keyword research process, check out the KISSmetrics Guide to Keyword Research – Part I and Part II. The title tag on pages of your website tells search engines what the page is about. It should be 70 characters or less and include your business or brand name and keywords that relate to that specific page only. This tag is placed between the <HEAD> </HEAD> tags near the top of the HTML code for the page. The meta description on pages of your website gives search engines a little more insight into what your page is about. There is still debate about whether meta descriptions can help with keyword rankings. Regardless, you want to write your meta description with a human audience in mind that includes the page’s main keywords, as the meta description does show up in search results. 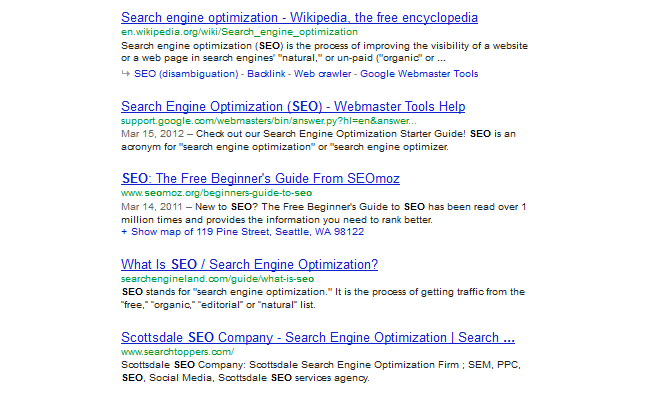 The above image shows how KISSmetrics’ own title tag and meta description shows up in Google search results. You can see that the keywords searched by a user (in this case, the keyword was KISSmetrics) are bolded by Google in both the title tag and the meta description. This is why you have to use your business or brand name and keywords in both the title and meta description – it helps your search results stand out to the searcher when they are searching those terms. If you use WordPress on your own domain, you are in luck. Adding title tags and meta descriptions to your pages is easy using free plugins such as All in One SEO, Platinum SEO, and SEO by Yoast. You can also get SEO suggestions by using premium plugins such as Scribe SEO. While the title tag and the meta description are the most important SEO elements, they are not the only ones. Be sure to incorporate the following into your website’s page content for further search optimization. Internal Links – Link building isn’t just reserved for external sites linking to your website. You can help search engines learn more about your website by internally linking to other pages on your website within your content. 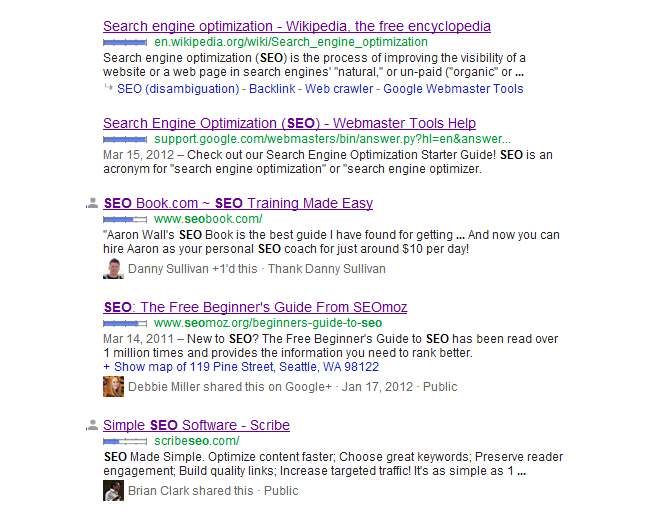 As an example, this blog post utilizes internal links when linking to other posts on the KISSmetrics blog. 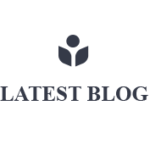 Header Tags – This blog post utilizes three different levels of HTML header tags that help break the content into sections as well as let search engines know more about what each section of content is about. The <H1></H1> tags surround the post title – there should only be one set of <H1></H1> tags per page. The <H2></H2> and <H3></H3> tags surround subheadings on the page – there can be multiple instances of both. Using header tags helps both readers and search engines break up your content into digestible sections. Image Name & ALT Tags – If you use images on your website, you should think of good keywords for both the image name and the alt tag. On the first image within the post, we use <img src=”on-site-search-optimization-seo-title-tag.png” alt=”On-Site Search Optimization SEO Title Tag” /> as the goal is to optimize it for the keywords on-site search optimization. This helps search engines find good images for their image search based on the keywords specified. Bolded Text – You don’t want to get too crazy with this one, but occasionally bolding a selection of text to get a reader’s attention can also help search engines distinguish other important information and keywords in the page’s content. If you keep up with the latest in online marketing news, then you have likely read about content development and content marketing. Content is great for both your website visitors and search engines. The more content you have, the more likely your visitors will stick around on your website. And the more content you have, the more likely search engines will be to put more of your website’s pages in the search index. Creating quality content for your website can be a huge investment, but it is worth it. Search engines will love it, and visitors will love it so much that they will share it on social media, leading to even more visitors. You can start out by simply creating blog posts on your website, and as your audience grows, you can expand your content inventory to additional types of media. To learn more, see the Beginner’s Guide to Content Marketing. Link building is probably one of the most talked about (and debated about) SEO tasks. The basic goal of link building is to get other websites to link to yours. If you think about ranking at the top of search results as a popularity contest, then links are like votes saying your website deserves to be ranked highly. Getting links with keyword anchor text will help you rank specifically for the keywords that are linked to. For example, Adobe Reader ranks number one for the keywords click herebecause so many websites linked to it using the anchor text click here to download Adobe Reader. So how do you get links? There are lots and lots of ways to do it – some good, and some not so good. If you read enough about link building, you will hear ultimately about three kinds of links and link building techniques. Organic Links – These are links you don’t have to ask for, and they are the best kind. Especially if you can get them on sites with high authority such as major news outlets and other well-recognized name websites. Whitehat – This basically stands for good, quality link building (the kind you should strive for). Blackhat – This stands for spammy, low-quality link building (the kind you should avoid). Most websites will have a hard time generating enough organic links to raise their rankings in search engines. This is why link building is such a popular services. But you can get started on building quality links by doing some of the following activities. Submitting guest blog posts to popular blogs in your industry. Generally, you will get a link back to your website in an author box at the top or bottom of your post’s content. Reaching out to related (but not competitive) businesses to see if they will link to you. A good way to do this is to see if the businesses you work with have link pages on their site for partners, vendors, suppliers, etc. Create local search profiles (if applicable) and social media profiles. While the links do not always count towards search rankings, they can attract clicks which will generate more incoming traffic to your website. Submit your website to applicable industry directories or, alternatively, buy advertising. For example, anyone in the wedding business could get listings with a link back to their website on The Knot, The Wedding Channel, and other similar sites. Bypass low-quality directories that have nothing to do with your industry or ones that link to shady websites in the adult, pharmaceutical, or online casino industries. Create link worthy content. Infographics are a great example – you create a beautiful image representing important information and allow others to use the infographic on their own website in exchange for linking back to yours as credit. For more information about link building the right way, don’t miss our post on Natural Link Building 101! Speaking of creating social profiles for links, if your goal is to dominate Google, then you should make sure you join Google+. Google’s own social network can help you rank better in search results for people you are connected with. For example, when I’m logged in to Google+ and I search for SEO, I get the following in my top five search results. Personalized search results based on who I am friends with are marked by the little person icon. When I’m not logged into Google+, you can see that the two personalized results shown earlier are not in the top five. One of them isn’t even on the first page. It goes to show that personalized search results trump even local search results. Hence, if you want to get into the personalized search game, your goal is to do the following. Create a Google+ personal profile and business page. Recommend the website you want to rank well in search results by giving it a +1, sharing the website on your profile and/or page as a status update, and linking to it in your profile information under recommended websites. Fill out your profile information completely to make others want to connect with you. Check your settings and make sure that your profile information is public along with your status updates. Share other interesting updates on your profile so it doesn’t look too self-promotional. Start connecting with people who you want to see your website in search results. Use the search box on Google+ to find people to connect with and add them to your circles. Hopefully, most will add you back. Essentially, the more popular you are on Google+, the more likely you are to influence personalized search results with those who are following you. Hence, take advantage of this social network to its fullest extent to reap the benefits. Last, but not least, you will want to keep track of your SEO progress by monitoring your results. The two most important tools you can use to monitor these results are the following. Authority Labs – Create a free account which you can get after using the 30 day trial of the pro account. Use this tool to track keyword rankings for your website so you can see if they are moving up in search results. Google Analytics – Use Google Analytics to learn more about the visitors to your website. In particular, monitor your organic search traffic sources to see what keywords people are using to find your website in search results. By setting up goals, you can see which keywords lead to visits where visitors do what you want them to do on your website such as sign up for a mailing list or purchase a product. This will help you learn what keywords you should be targeting with your SEO campaign. There are a lot of other valuable SEO tools out there, but these are the best ones to start with to help you learn more about whether your SEO efforts are making a difference. If you can follow the suggestions in this post, you will definitely start off on the right foot when it comes to your website’s search engine optimization. And hopefully you will start reaping the benefits of getting more visitors through search engines too! About the Author: Kristi Hines is a freelance writer, professional blogger, and social media enthusiast. Her blog Kikolani focuses on blog marketing for personal, professional, and business bloggers. You can follow her on Google+, Twitter, and Facebook.